Folksy easter decoration in a selection of pretty shades. 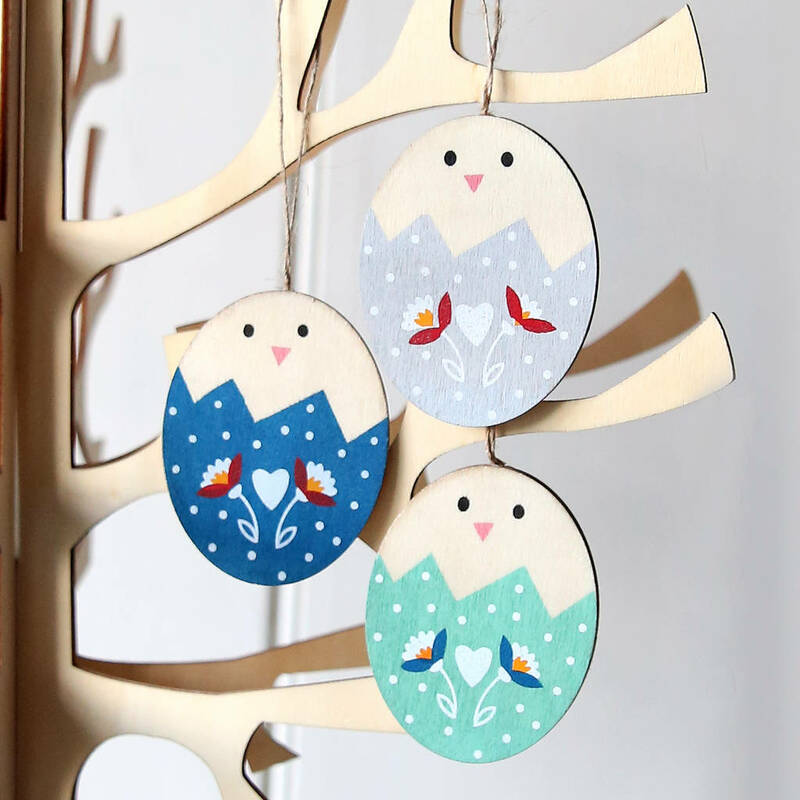 As part of our lovely Folksy Easter range, we introduce these gorgeous hanging decorations. Made from wood and hung with jute, they come in assortment of three spring colours including; royal blue, dove grey and mint green. Each decoration has a chick emerging from a colourfully illustrated egg. Lovely as house decorations to display every Easter, give as an Easter gifts or for a childrens room all year round. Sold as a single decoration.